Ni no Kuni 2 has been delayed, but developers Level-5 have released some fresh footage to tide us over. As with the first game, it looks unlike anything else in videogames, like an interactive Ghibli animation. 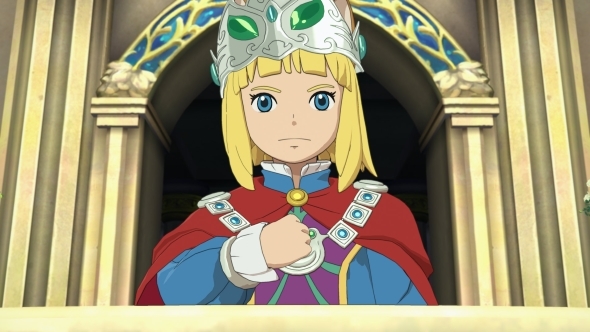 You won’t find anything like Ni no Kuni 2 in our list of the best RPGs. The first game was lovely but its combat was lacking. It didn’t have any heft, and boss fights often devolved into situations where you were forced to run in circles as you tried to fill your health back up. Combat in this sequel looks much nicer, with no hint of the problems the first game had. This looks much more fluid, with strikes, guards, dodges, and spells aplenty. Of course, the real proof will be in playing the thing, which now won’t happen until 2018. Check out the new video above, in which Evan and co. take on the Trial of Courage where they fight a Thogg with too much HP.